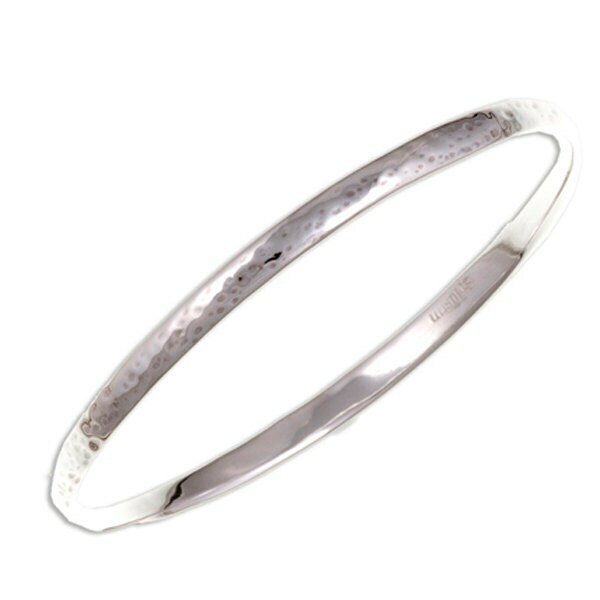 Beaten silver bangle – high polished hammered Sterling silver bangle with D shaped profile. Available in three sizes – please select from drop-down menu. As with all St Justin products, this item comes with a lifetime guarantee. If there is a fault in the workmanship, we will repair or replace it free of charge.